"The fact that he [Blake] is still free gives them hope. And that is dangerous, Travis. Hope is very dangerous." Blake has been in contact with another resistance leader, Avalon, and agreed to provide transport for her. She is currently on an ice world where the Federation have established a base of operations. Travis has already arrived on the ice world and captures Avalon, massacring her fellow freedom fighters. When Blake arrives, he and Jenna find just one survivor of Travis's attack: a man called Chevner who has worked with Avalon for years. With the assistance of Chevner; Blake, Jenna and Vila rescue Avalon from the Federation base. Back on board the Liberator, Blake feels that the rescue was too easy. He realises that the group were allowed to rescue Avalon and escape and that Travis's plan was to put someone on board the Liberator who could then kill the crew and take the ship back to Travis. The crew begin to hunt for Chevner whom they believe to be working Travis. 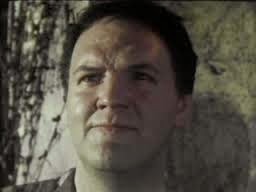 But it transpires that Chevner has been killed by a robot duplicate of Avalon. The robot has in its possession a small sphere that contains a deadly virus which kills almost instantly. The crew manage to overpower the robot before it unleashes the virus. 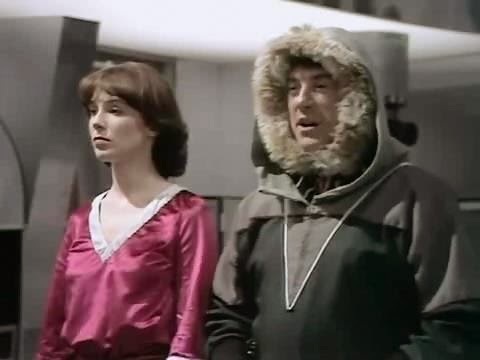 The Liberator then returns to the ice planet and Blake teleports down to the Federation base with the virus and the Avalon robot. He forces Travis to release the real Avalon by threatening to unleash the virus in the base. 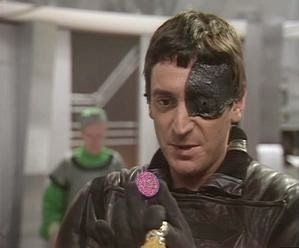 Travis is forced to comply and, after Blake and Avalon have left, Servalan tells Travis that his project has failed totally. 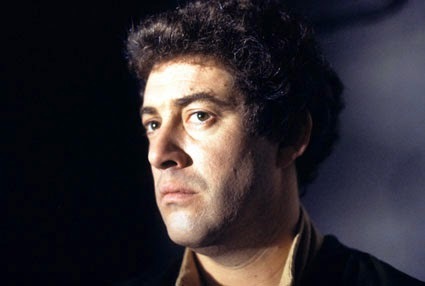 Blake: Not for the first time, Blake is almost fooled by one of Travis's plans but realises just in time that his rescue of Avalon was too easy. When he goes back to rescue Avalon he manages to take hostage a room full of Federation guards and scientists. Granted he has a robot and killer virus with him but it all seems rather too easy. He has no problem with sacrificing himself if it means that he can take both Travis and Servalan with him. This is a bluff of course but, based on past experience, he genuinely doesn't seem to value his own life that highly if sacrificing himself is for the greater good. Avon: Prefers to stay in the warmth of the Liberator. Takes great delight in insulting and tormenting Vila (Vila: "I've got a weak chest. 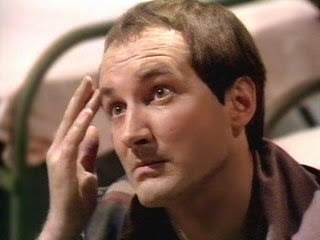 "; Avon: "The rest of you's not very impressive."). He also teleports Vila down to the planet before Vila is fully dressed. Does Avon have a thing for Cally? When he and Blake find her after she's been knocked unconscious by the robot, Avon is left to look after her. We seem him very gently stroke the side of her face. It's the first time we've really seen him show any sign of tenderness towards another member of the crew. Jenna: She's the only one of the crew who has met Avalon before and so goes down with Blake to meet her. She's also been teaching Cally how to fly the ship, possibly as a response to some of the concerns raised in the last episode about who would fly the ship without Jenna or Blake. Vila: Very reluctant to go down to the planet's surface as it's so cold but is eventually forced to go down as his skills are needed to help rescue Avalon. Although he acts very cowardly most of the time in this series, the one thing that Vila is very confident about is his lock-picking skills. Here he claims that Blake would need either "a lot of explosives or a genius" to open. When Blake asks Vila if he can do it Vila replies: "Of course." Gan: Much to his surprise he is easily overpowered by the Avalon robot. At one point in the episode Gan can be seen taking some sort of pills. Although nothing is made of this in this episode, it does foreshadow things to come. Cally: Is now adept at flying the Liberator. Jenna even thinks that Cally may be better than her. During this episode, Cally is forced to put her new skills into operation as she manually pilots the ship whilst trying to shake off some pursuing Federation ships. She is a great admirer of Avalon's work and talks with the Avalon robot for some time, not realising that it's not the real woman. Shortly afterwards she's attacked by the robot and knocked unconscious. 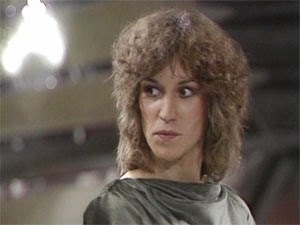 Servalan: Since we last saw her in 'Seek-Locate-Destroy' there have been several attempts on her life, something she attributes to Blake. On top of this, she has received a lot of criticism regarding Travis and how he has failed to capture or kill Blake. 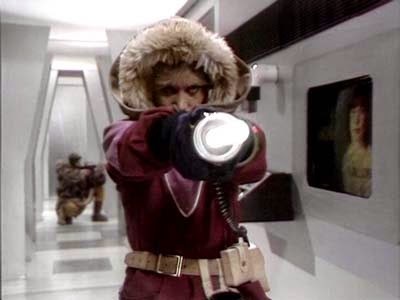 Although under pressure to replace him, Servelan still supports Travis fully in his plans - at least until the end of the episode. This is also the first time in the series that Servelan and Blake meet face to face. Travis: He states that's he twice come close to capturing Blake but was prevented from succeeding because the Federation insisted that the Liberator be captured undamaged. Presumably he's referring to his two previous on-screen appearances but in neither of those episodes was he instructed to capture the Liberator - simply to kill or capture Blake. Indeed, in last week's episode, Travis didn't seem concerned in the slightest about the state of the Liberator in their space battle. Whether he was ordered to capture the ship undamaged or not, he's more than likely using it as an excuse for his failure. His latest plan is rather a good one and comes very close to succeeding. But yet another failure means that Servelan strips him of his command pending a full enquiry into his actions. The idea of robot duplicates isn't a new one in science fiction. 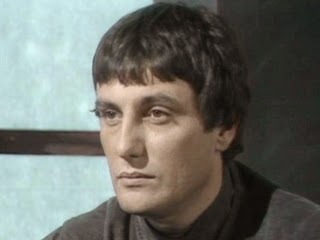 Indeed, writer Terry Nation had used it twice himself in Doctor Who 1965's 'The Chase' and 1975's 'The Android Invasion'. 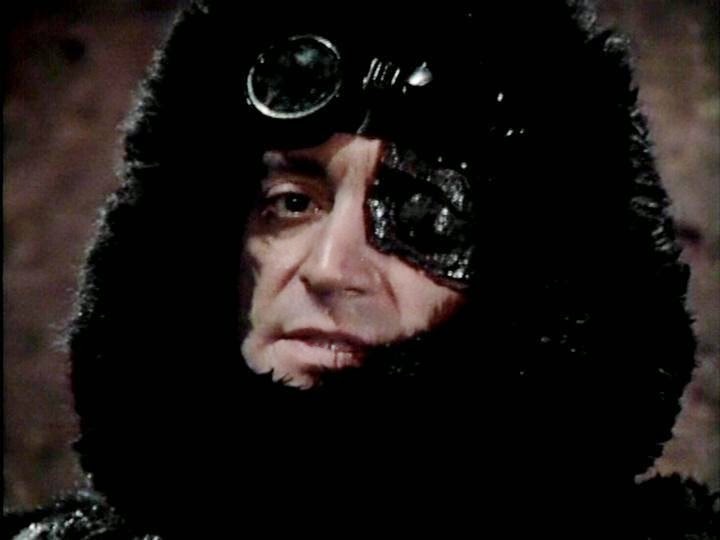 But whereas in 'The Chase' it was obvious from the outset that there was an evil robot Doctor wondering about, here the fact that the Avalon rescued by Blake is a robot duplicate is cleverly hidden until about ten minutes before the end of the episode. Like Blake, the viewer is more or less in the dark about Travis's real plan. Once again, all of the regulars - including the two main villains - get something to do or at least some sort of character development. It's quite nice to see them playing off Vila's remark last week that no one could pilot the ship without Jenna or Blake and having Cally learn how to fly the Liberator. What seemed to be a off-hand remark in that episode has resulted in a bit of development for the character. And there's also some foreshadowing of next week's episode with Gan popping some pain pills. Overall, a very good episode. Next week, the underused Gan gets to step into the spotlight - sort of.